The future of Neil deGrasse Tyson’s television science series Cosmos: A Spacetime Odyssey may be up in the air, but in the meantime, Google is providing its own special effects-laden documentary to tide you over. Titled ‪Back To The Moon For Good – The New Space Race, the mini-documentary is meant to give additional background on the company’s Lunar XPrize contest, which is designed to inspire competing teams to land a spacecraft on the moon. Narrated by film and television star Tim Allen, the 24-minute film was adapted for YouTube from the immersive planetarium show that toured the U.S. last year. 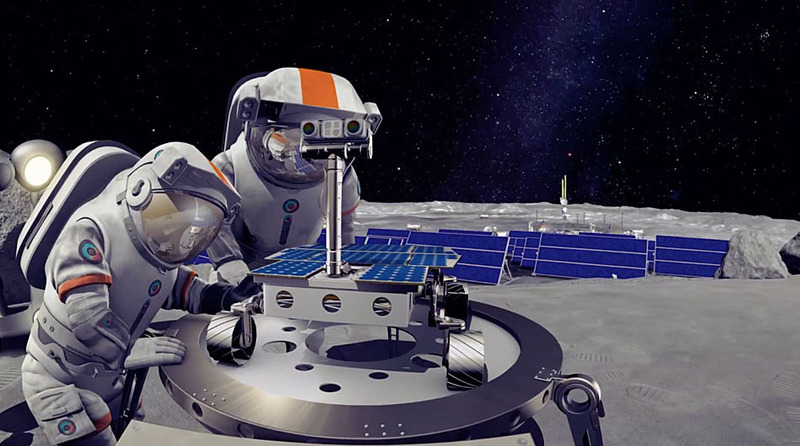 The film takes viewers through the entire history of lunar exploration, using 3D imagery, colorful infographics and well-designed animations that put you right in the middle of the action. Normally dull topics — like explaining why the moon’s resources might be valuable for future space missions — come alive thanks to the artistry of the film. Similarly ‪with Back To The Moon For Good – The New Space Race, a trip through mankind’s early, pre-space exploration days on Earth comes across less as history lesson and more like a dramatic recap of an epic adventure. Aside from the very important message of the film itself, with competitors like Amazon and Netflix now getting into the movie creation business, this stunning film also proves that Google should probably consider trying its hand at entering the film production business as well. Of course, watching the film on YouTube can’t compare to the dome projection experience many were afforded during the film’s initial museum tour, but the documentary packs enough space eye candy and information that it’s still a must-see video.